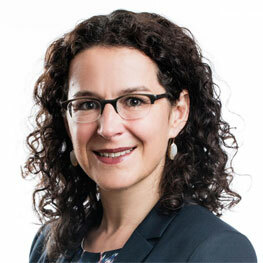 Sabine Döbeli is the CEO of Swiss Sustainable Finance, an association that was founded in 2014 with the objective of promoting sustainability in Swiss finance. Previously, she was Head of Corporate Sustainability Management at Vontobel. At Zürcher Kantonalbank she built up the sustainability research unit within the financial analysis department and was involved in the launch of various sustainable investment products. Sabine holds a Masters in Environmental Sciences from the Swiss Federal Institute of Technology (ETH) Zurich and a post-graduate degree in business administration from the University of Basel.